(TORONTO) – Speaking today at the opening ceremony of the 2012 Canadian International Auto Show, Yoshi Inaba, President and Chief Operating Officer of Toyota Motor North America, Inc., described how the auto sector is “entering an era of innovation that will significantly alter transportation in the twenty-first century,” as it builds on a number of stunning gains over the last few years. 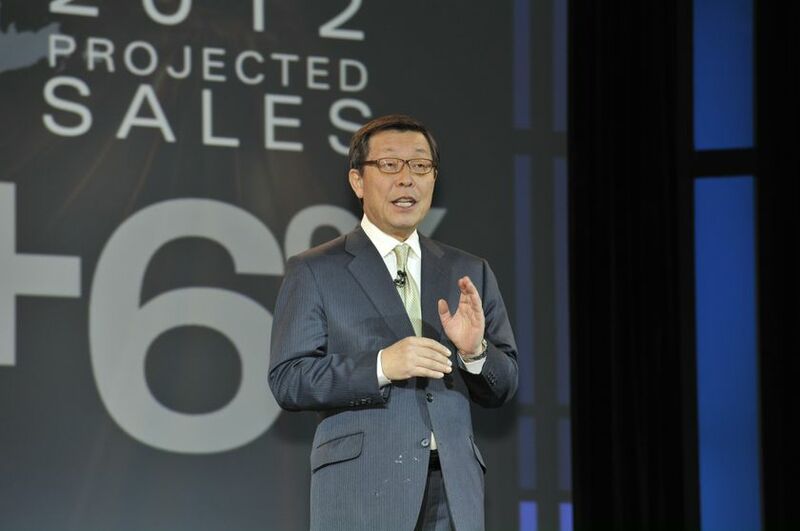 Inaba noted that today’s cars are well on the way to meeting the needs of connected customers. The auto economy, he said, is unique in that it creates, builds and adapts faster than any other mature industry, and it represents the hope and home of the next generation of engineering and design technology, offering young Canadians the opportunity to advance and leave their mark. Inaba noted that new vehicle sales in North American will increase by about six per cent in 2012, which means about 13.6 million units sold in the United States and a little over 1.6 million in Canada. Toyota Motor North America, Inc. (TMA), wholly owned by Toyota Motor Corporation (NYSE:TM), is the holding company for Toyota's U.S. sales and manufacturing companies. Functions include government and regulatory affairs, energy, environment, economic research, philanthropy and corporate communications. Headquartered in New York City, it has operations in Washington, D.C., Miami, Fla., and Torrance, Calif.